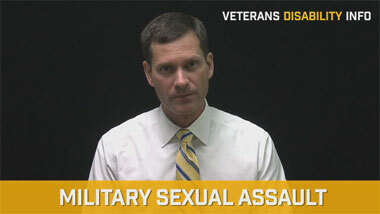 In mid-May (2015), Senator Michael Bennet of Colorado and Senator Jeanne Shaheen of New Hampshire along with seven other senators, introduced legislation designed to improve the consistency of the VA appeals process. The proposed legislation is called the Veterans Appeals Assistance and Improvement Act of 2015. As a veterans disability lawyer, I applaud the effort of these senators. The long delay to resolve appeals is one of the biggest concerns that veterans face. In our VA appeals law firm, we are constantly faced with the challenge of finding ways to resolve VA appeals faster. So, the proposed legislation is speaking to a major problem that urgently needs to be addressed. The details of the legislation, however, warrant further analysis. The proposed legislation would allow Legal Services Corporation (“LSC”) to provide assistance to a veteran throughout their appeal process instead of only being able to hire a lawyer once the initial claim has been denied. Legal Services Corporation is a nonprofit corporation that is purportedly the largest single funder of civil legal aid for low-income Americans in the United States. LSC accomplishes its mission through distributing grant money to independent legal aid programs. The idea is that by allowing more veterans to obtain legal counsel earlier in the process, faster and more equitable results can be expected. The time to resolve an appeal is one of the biggest frustrations veterans express about the VA appeal process. According to the Board’s annual report, the average time to resolve an appeal at the Board level exceeds 1,000 days or almost 3 years. If the Board sends the case back for further development, the average time can increase by another 427 days making the whole process almost 5 years. In fact, the American Legion noted recently that final decisions on appealed cases can take up to 1,937 days. But, it is unclear as to how providing lawyers to veterans earlier in the appeal process is going to speed the resolution of appeals. The VA has a backlog and it doesn’t really matter who is representing the veteran. Adding more lawyers to the process is not necessarily going to get claims settled faster because the VA works on its own timetable regardless of who the veteran’s representative is. I have long maintained that VA must have time deadlines imposed on it for the resolution of each stage of the appeal process. This would give veterans and their representatives some degree of predictability. Although I applaud the focus on trying to improve the appeal process, simply throwing large numbers of relatively inexperienced legal aid lawyers at the veterans’ problem can make matters worse. 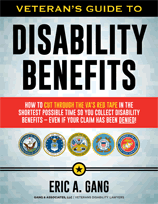 VA benefits law is a complex area of the law that requires many years of experience to represent efficiently. Those of us who have been doing it a long time know how to gather all the evidence needed and present it in the way most likely to win approval. Representing disabled veterans is not like writing a simple will–something that almost any attorney can do. As such, unleashing an army of inexperienced lawyers into the veterans benefits arena should be approached with circumspection. Veterans who are appealing the denial of VA benefits already have easy access to highly-skilled attorneys. For all cases where a Notice of Disagreement (“NOD”) was filed on or after June 2007, veterans can hire a VA disability lawyer on a contingency fee basis. This means that the veteran does not have to pay a fee to the lawyer unless retroactive pay is recovered. And then, the veteran simply pays the attorney a percentage of the back pay. So, there is presently no bar for financially disadvantaged veterans seeking legal counsel on appeal. Furthermore, if the case proceeded to the U.S. Court of Appeals for Veterans Claims, the existing Equal Access to Justice Act provides pro bono representation to any veteran whose net worth is under 2 million dollars. The Equal Access to Justice Act allows a litigant at the U.S. Court of Appeals to petition the Court for payment of attorney fees if he is a prevailing party and the government’s position was not substantially justified. Thus, in each stage of the appeals process, a disadvantaged financial state is no bar to obtaining the assistance of qualified legal counsel. The backlog and long waiting period to resolve an appeal is not due to a lack of legal counsel. 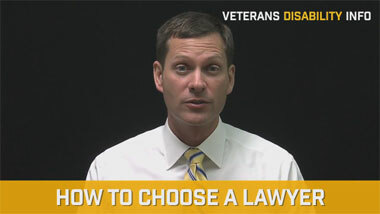 Most VA disability lawyers are more than happy to accept new clients. The real issue is VA’s inefficiency and under-staffing. 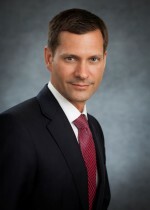 In December 2013 Ronald Abrams, Esq., who is the joint executive director of the National Veterans Legal Services Program, testified before the House Committee on Veterans’ Affairs. He recommended that Congress provide additional funding for more adjudicators. VA is also riddled with process inefficiencies. As I noted in a prior article, the VA is moving toward a paperless system. And this is a good thing. However, less paper doesn’t necessarily mean time saved. I recently had a conversation with one of the Decision Review Officers. She explained that with the new electronic files each document is a separate file and in some cases each page of a document is saved as a separate file. This means in order to read a file, the VA adjudicator must open dozens of files which is extraordinarily time-consuming. By contrast, in our office, claims files are scanned into one giant file which enables us to click through each page rapidly and efficiently without having to open several documents. Another problem with VA is the numbers-based evaluation system. Most Decision Review Officers have a quota of 4 decisions per day. There is a lot of pressure on VA adjudicators to keep high levels of production. But sometimes the pressure to produce speedy decisions results in inaccuracy, which causes unnecessary appeals and years of further delays. For example, the American Legion’s quality review team found 64 percent of the cases in the Baltimore and Oakland regional offices had errors. We recently won a claim for a veteran whose case had been on appeal for more than 20 years. His claim was for an organic brain syndrome that he said resulted from an in-service car accident. He alleged that he hit his head on the windshield during service. The VA service-connected his whiplash injury to his neck but repeatedly denied the head injury claim. The VA’s denial was largely based on the fact that no brain issues appeared for almost 20 years. However, buried in the medical records was a VA medical opinion that stated the veteran’s cognitive/dementia problems were due to his chronic pain. He was service-connected for the neck problem that caused chronic pain. Obviously, this medical opinion raised a theory of secondary service connection. But the VA ignored this. We discovered this error on appeal at the U.S. Court of Appeals for Veterans Claims. If the VA adjudicators would have developed this theory that case could have been resolved perhaps years before. In the end, adding legal aid lawyers to the landscape of veterans disability law still does nothing to force VA to resolve appeals faster and more accurately. The VA should be held accountable to resolve appeals within pre-determined time frames, providing much needed predictability to the appeals process, and VA adjudicators should be evaluated based on accuracy–and not just production quotas. After all, our nation’s veterans are not just file numbers, but real people.